~ A glass turtle for everyone! Flameworked artglass beads and custom jewellery by Ania Kyte. 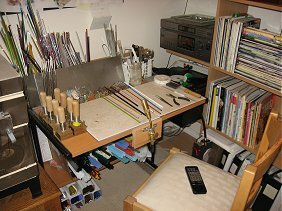 Although there are many fantastic books on the topic of lampworking/bead-making, I believe that one of the best ways to learn how to make artglass beads is to take a class with an experienced lampwork artisan in an established workspace. I offer two types of classes: Introductory and Intermediate (details below). 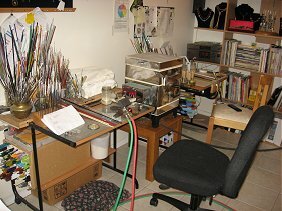 Classes are private instruction only, and are held in my home studio in Mission, B.C., Canada. and ask as many questions as come to mind! This is a good class for someone who has never worked with hot glass and would like to try the experience of making glass beads. 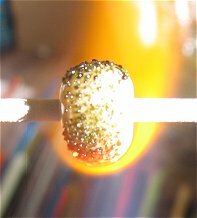 This is a less-intensive course than the Level 2 Intermediate class, and is recommended for those who would like to explore the idea of whether making glass beads in a torch flame is their artform of choice. The Introductory class cost = $75.00 Cnd. 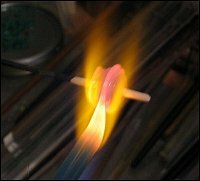 This is a good class for someone who has previously tried working with hot glass either in a private or group setting, or for someone who is ready to take on the challenge of learning all the basic techniques of making glass beads. This is a more intensive course than the Introductory class, and is recommended for those who plan on setting up a studio or who have decided to make a commitment towards making beads on a regular basis. The Intermediate class cost = $145.00 Cnd. 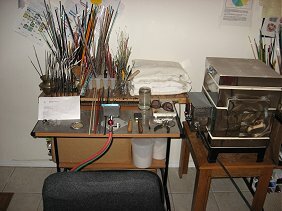 ~ If you would like to surprise someone with a special gift of a bead-making class, you can purchase a gift certificate. The gift certificate can either be printed by you, or can be mailed to you, or directly to the recipient, whichever you choose. The certificate can then can be redeemed by the recipient when arranging a class at a later date/time. ~ Please email Ania at turtlebeads@hotmail.com after your purchase to indicate your request and specific instructions. Gift Certificate = $75.00 Cnd. Gift Certificate = $145.00 Cnd. d) if you are interested in taking notes, please bring a notepad. The total cost of the above-listed kit is $195.00 Cnd. and includes all of the above supplies, tools and equipment. - a ventilated work space. 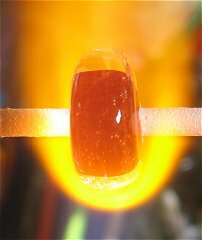 - an annealing kiln in order to cool your beads slowly for longevity and durability (if you plan to sell your beads or use them in jewellery, you want them to last, therefore, kiln-annealed beads are the standard for North American artisan beads).